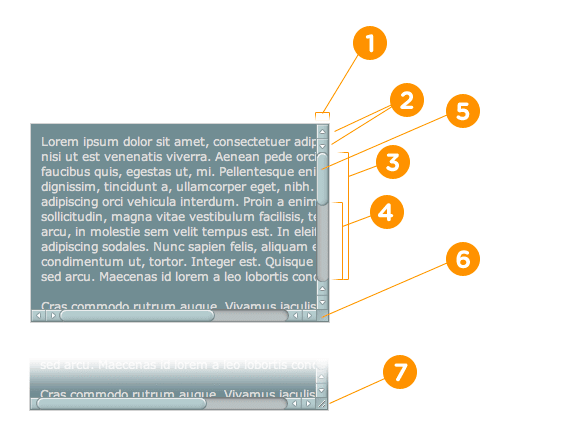 Do you want to enhance the Scroll bar of your website? Scroll bar appears at the right side of the screen and, it allows users to scroll down the page whenever they drag there mouse up or down the page. To provide a user-friendly experience to your visitors, it is essential to have a Smooth Scroll bar. However, there is no doubt that Custom Scroll bar does the job quite handsomely, but it is not perfect. Few days ago, our reader informed us about the colorful Webkit Scrollbars that he has seen on different websites. Furthermore, he also requested us to develop a similar one. Therefore, in this article we will learn How to Create Customize Webkit Scrollbar in Blogger BlogSpot Blog? What is the Definition of WEBKIT Scrollbar? Mostly of the people are still thinking what does the word “WEBKIT Scrollbar” means, it is a vertical or horizontal bar which usually appears at the right side of the screen and that allows users to scroll down the page through their mouse. If anyone is still unable to understand how it works then, don’t forget to check the following demonstration which would clear all the misconception that is wobbling into your brains. Consider the following screenshots. Why to Use Customized Scrollbar? There is no lethal reason why a person could say a no to Customized Scrollbar because it adds a new elegant life to his website. Consider that a person has a highly professional website but since, the Scrollbar is from old-school, so it is quite clear that, it will destroy the complete outlook of a website. 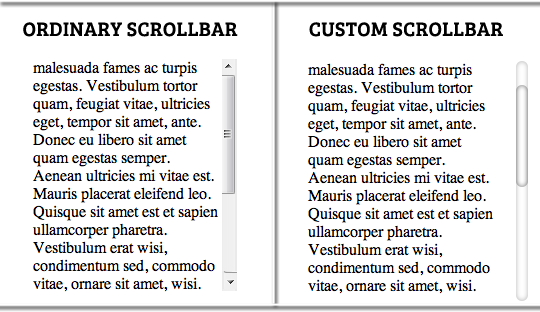 To learn more about the difference between an ordinary or and a customized scrollbar consider the following screenshot. How to Add Webkit Scrollbar in Blogger Platform? To be honest, there is no complexity in this tutorial because all we need to do is to insert a CSS to our theme, and it would do the job quite effortlessly. 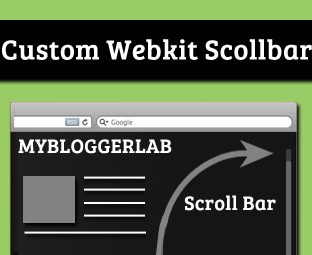 To install Webkit Scrollbar in your blogger template consider the following instructions. Go To Blogger.com >> Templates >>EDIT HTML >> Proceed. Now in the theme Search for ]]></b:skin> and above it Paste the Following CSS Coding. Then Replace #336699 with the color that you want to see in the Scrollbar. beautiful dude! I expected this! Very nice scroll bar dude.. but wont this affect the load time of the blog? already the load time of my blog CoreBlogging is about 10 seconds. will adding this delay page load? do u have any tips to reduce page load speed without taking off any of my content ? Can we give a curve to the scroll bar? Yeah it is Possible. Instead of Adding the Above CSS in your Theme Add the Following one. This will add a Curve (Capsule) type Webkit Scrollbar in your blogger blog. Can i post this post on my blog and i will give creadits to your blog? ?This will increase your backlinks also?? Super duper cool.. I have done with my blog.. Thanks MR.. It doesn't support Default themes. i think this code will help.. I Cannot Find The ]]>. I Searched It By Doing Ctrl+F and It Said 0 of 0 results. Help? Click anywhere in the template editor then Press CTRL+F and search within the search box open in the editor.